Finding the right investment can be tricky, especially in times of economic distress. Fortunately for investors who like long-term sustainability, Gold has been and continues to be a promising investment. With no light at the end of the financial tunnel to be seen, investors are quickly (and wisely) investing in gold as a means to a prosperous financial future. This is where companies like Guidant Financial comes into play. Back in 2003, founders David Nilssen and Jeremy Ames started the company. With a primary focus on helping entrepreneurs realize their small business dreams through financing. The Financial investment company now helps clients from all walks of life, including clients who want to invest in gold and other precious metals. Additionally the company helps clients roll over their 401(k) into a gold backed IRA account. Is this a good company to invest with in regards to gold as an investment? These Guidant Financial Reviews will help shed some light on the Bellevue, Washington company. Guidant Financial is held in high regards with the Better Business Bureau. Noted as one of the oldest consumer organizations in the world, the BBB is one of the most trusted consumer protection companies around today. With an A+ rating, the BBBs highest rating a company can attain, it appears as if the Bellevue, WA company is in the good graces of it’s consumers. However, after further research, we’ve found that the company in fact although the Guidant Financial is accredited, there are a few notes that should make investors wary. First and foremost, the accreditation process with the BBB is quite simple. A company must simply file some paperwork and pay a small fee to acquire this badge of accreditation. The amount of complaints Guidant Financial has in comparison with their A+ rating, raises the question if the company is actually of it’s preached quality. Many of the complaints circulate around poor customer service, while a few others stem around billing and delivery issues. These facts alone should make any serious investor a bit uneasy. Alongside the Better Business Bureau is another financial review website: The Ripoff Report. Since gaining a trustworthy reputation in the late 1990’s, many skeptical consumers turn to the Ripoff Report for more information on companies like Guidant Financial Group. What also differentiates the Ripoff Report is that they give the companies a chance to respond to consumer complaints and reviews. One client, Anthony from Olathe, Kansas, confirms that Guidant Financial Group made unauthorized billing transactions to his checking account. On June 6th his account was debited for $5,000 and claims he never received his money back from the company; money he claims should not have been debited from his account in the first place. Anthony goes on to say that he believes Guidant Financial Group are using unethical business dealings since they’ve continued to hold onto his funds (collecting interest on his funds) when he never authorized the transaction in the first place. This complaint was eventually settled but no further details were disclosed. Last but not least is a review from Yelp. Yelp is a highly trusted consumer review website. Their slogan is “Real Reviews, Real People.” Although there was only 1 Guidant Financial review found on this particular page, it wasn’t a pleasant one. Ashley F. from Seattle, Washington, said that she wishes she could have given them a higher rating. Unfortunately, she granted the company a measly 2 out of 5 stars. She says that the prices were too high for the client service she received and then continues with a list of con’s that far exceed the list of pros. Some of the cons were that the client service was sub-par. For the amount of money she was paying, she expected much better client service. Apparently the company would harangue her for information. Ashley then went on to mention how their sales team is very pushy and how their paperwork review process could use some work. Finally, she discloses how Guidant Financial wouldn’t put together a portfolio of paperwork for her. Instead, they wanted her to do it. Ashley figures that if she’s shelling out a little under $6,000, that they’d be kind enough to put together her financial portfolio. Overall she was unimpressed by Guidant Financials services and recommends that you look around elsewhere – she’s sure you can find something better. When it comes to doing business in the financial industry, or in any industry for that matter, you’re going to have an unhappy client or two. The client reviews and complaints from Yelp, the Better Business Bureau, and from the Ripoff Report are all just that – complaints. Some clients in fact love the company and recommend them. This goes to show that Guidant Financial is pleasing a good portion of their clientele or else they wouldn’t be in business. They’ve even gone above and beyond (at least their upper management), to answer consumer reviews and complaints on the Ripoff Report and on the Better Business Bureau websites. This shows that someone in the company actually cares about customer satisfaction, whereas other companies fail to reply entirely. While there is good light to be shed on the company, the overwhelming negative reviews on customer service alone is disturbing. Investing in a company that provides poor service, fails on the delivery of products, billing without client content and pushy salesman cannot go unnoticed. Companies have their good and bad days, but it’s no excuse for a financial institution to have a higher quality standard. Especially when dealing with millions of dollars in client capital. As Ashley recommended in her Yelp review, you’re better off looking elsewhere. 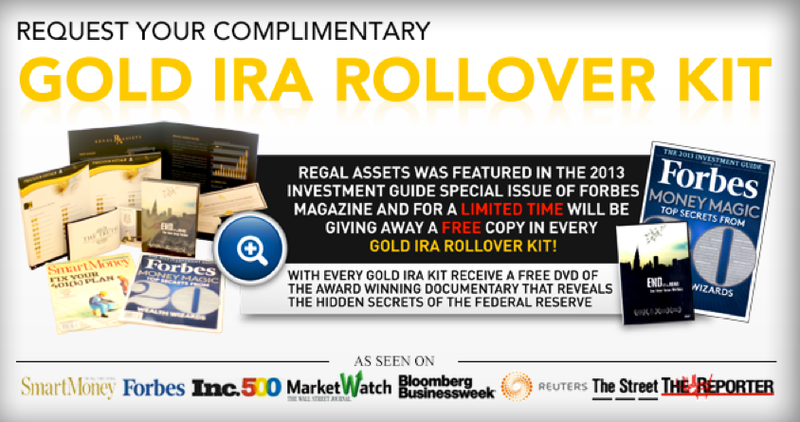 There are plenty of other IRA companies and precious metals companies who provide gold standard service. While Guidant Financial is a company that offers the services you need, you might be better off elsewhere.